LICENSE GAME KEY The Elder Scrolls Online: Gold Edition is displayed in the BROWSER AND COME TO YOUR E-MAIL AFTER AUTOMATIC PAYMENT!!! - DLC can be added to your steam account. Activation must be through official TESO site. - Monthly subscription is no longer required. Localization - Russian (lang pack), English, Deutsch, Français. - Game items: mount "Palomino Horse"
For the first twenty years of its famous fantasy role-playing game The Elder Scrolls goes online. Embark on a grand journey alone or with friends, fellow guilds and thousands of allies. Innovative combat system allows to immerse themselves in battle, not being distracted by the struggle with the interface. Use any weapon and armor, pick the ability to taste and perform heroic feats, nothing limiting ourselves. 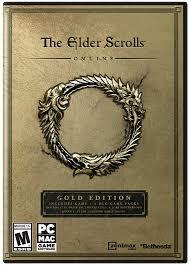 It offers a wealth of Tamriel, the mystery of Morrowind, Daggerfall vast concrete jungle and more. Enter your name on the tablets of history and join the epic battle between the players, because they decide the fate of the whole world. Events The Elder Scrolls Online occur a thousand years before the coming of the Dragonborn, at the dawn of the era of the first Emperor of Tamriel Tiber. Three of the alliance is divided between the spheres of influence on the continent - but so far thunder of the battle for power over the Imperial City, the dark forces are on the alert and ready to destroy the whole world.